We may not be able to guarantee free shipping to remote areas. We can ship your order several different ways. Fed Ex Ground – For small and large orders. If you are in a Blue or Red State, then you can use this method of shipping. Fed Ex 2nd day and Overnight. For those orders that need to be there fast. Or orders in the Green States. 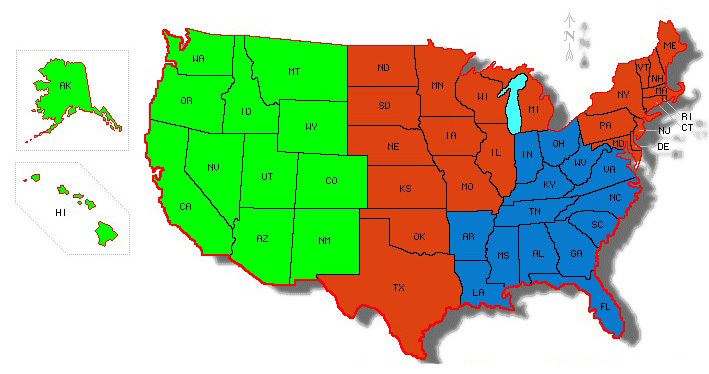 Fed Ex 3 day Select – For orders in the Green States. No Guarantee if this option is selected. We ship ALL orders in fully insulated boxes with Dry Ice. We are also offering a flat rate of $25 per box to the Red zone. Extra Dry Ice charge of $10 will apply.